Blizzard is reportedly working on a new Warcraft game for mobile, similar to Pokemon Go. The game, which is said to be in one of active development in one of Blizzard’s incubation teams, and will reportedly feature single-player mechanics. The lead designer of the as-yet unannounced mobile title is Cory Stockton, who joined Blizzard in 2005 and worked as lead game designer and lead content designer on World of Warcraft. Stockton is also a huge fan of Pokemon, explaining why he has been chosen to lead the new project. This information comes from a report published earlier this week by Kotaku. In that report, which discusses the recent lukewarm reaction to the announcement of mobile game Diablo Immortal at BlizzCon earlier this year. Kotaku’s report says that multiple mobile games are in development at Blizzard, thanks in part to the popularity of Pokemon Go itself. The mobile game is so popular that the Blizzard campus’ iconic orc statue has become a hotly-contested Pokemon gym, which employees regularly fight for control over. The excitement attached to Pokemon Go (and mobile games in general) across the Blizzard campus means that spin-offs of the company’s major franchises are relatively obvious next steps. As a result, executive producer Allen Adham recently stated that the company is working on mobile games for all of its IPs. There is little information available regarding the Warcraft spin-off, but a few things are discussed in Kotaku’s report. Most notably, while the game will be similar to Pokemon Go, sources say it is more complex than Niantic’s outing, and even contains some single-player mechanics. 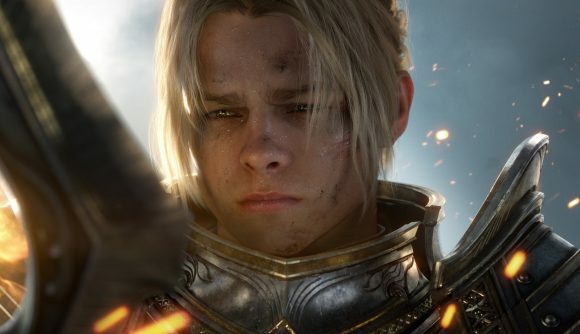 Since the announcement of Diablo: Immortal, more information has trickled through about Blizzard’s upcoming projects. As well as Warcraft III Remastered, we now know that Diablo 4 is definitely in development. Strangely enough, however, it turns out that the ARPG started life as a soulslike, before that take was scrapped in favour of a more traditional approach.